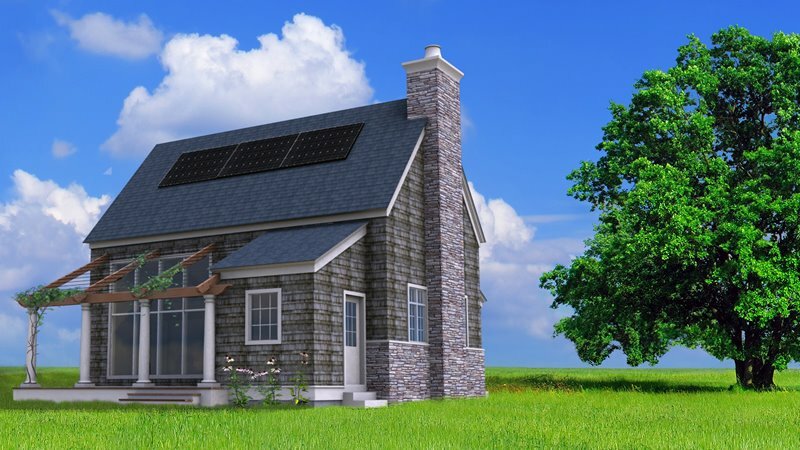 Affordable cottage kits built with green pre-fabulous structural insulated panels! Green Cottage Kits News Spring 2009! Just got pricing for The Sinda! The Sinda Elevations Are Here! Prefab Cottage Architecture Firm Wins Best Of Houzz In Design! 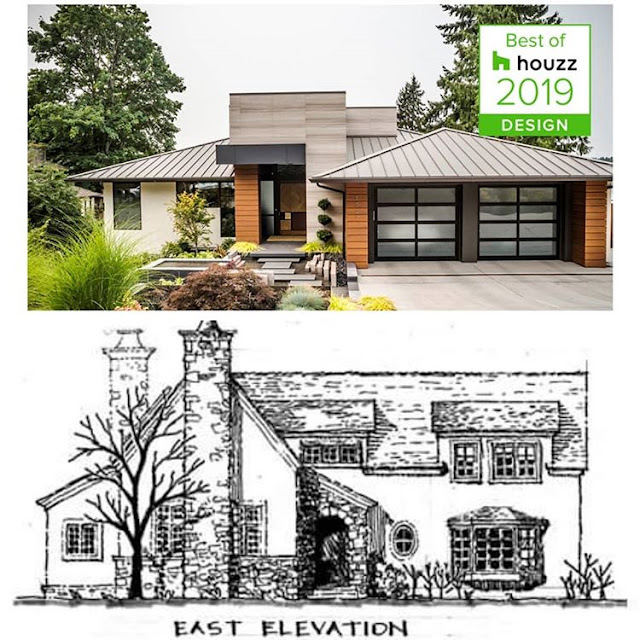 We are so happy to hear the architecture firm Gelotte Hommas Drivdhal Architecture, the genius behind beautiful luxury architecture in Seattle / the Pacific Northwest but *also* of our prefab cottages at Green Cottage Kits, has won best of Houzz in Design! If you would like to see updates on some of our recent prefab house projects from our sister brands Green Modern Kits, Green Cabin Kits, and of course Green Cottage Kits, you can peek in on recent projects and news, here. 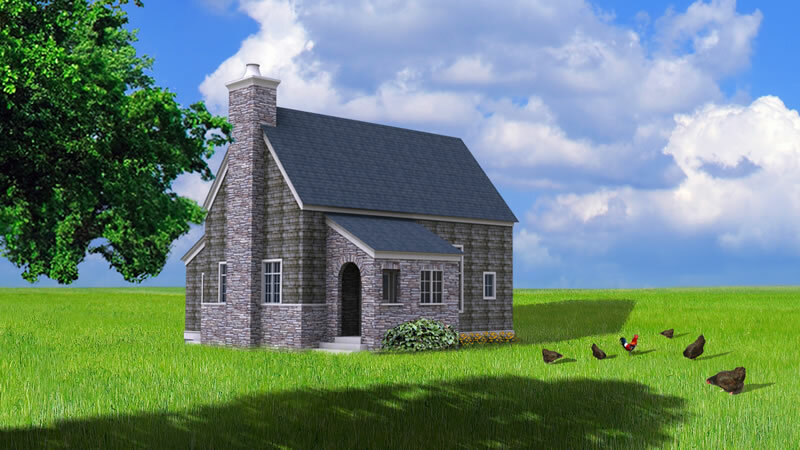 Just wanted to let our enthusiasts know there is a new prefab cottage house kit project you can follow, whose first post went up today: A prefab cottage house kit, a Midway from our Green Cottage Kits. Again, thank you all for your kind enthusiasm for our cottages and line of affordable prefab house kits. ...The traditional sister site to Green Modern Kits. This blog is now located at http://prefab-cottage.greencottagekits.com/. Cottage prefab enthusiasts, I present... Midway. To reward you for your patience, the first prefab cottage Midway purchased will be offered at a substantial discount. None of this is on the site yet. We're still waiting for the final pricing from the factory. It should be somewhere between the prefab large cottage, Bienvenue, and the small cottage kit, The Sinda. Each kit varies slightly in price depending on which factory fabricates it (East coast is less expensive than the West coast factories, for example, and the factory closest to you fabricates the kit) but we are really trying to stay on these prices and pressure the factories to offer the Bienvenue for $39,280, and The Sinda for $28,053. That includes the design documents by the award-winning architecture firm Gelotte Hommas (which are then engineered by your engineer to fit your local conditions, hence addressing snow loads, hurricane, etc. if it needs to be tweaked) and the SIPs (structural insulated panels) exterior and roof panels. Kits also come with a window and door schedule to make it easier for you to complete. …and everything else that are personal choices you would make with your contractor: foundation, appliances, systems, cladding, etc. These Wall and Roof Packages are SIPs (Structural Insulated Panels) which provides *excellent* insulation. For those of you that want to tour a modern prefab house kit just to see how the structural insulated panels and passive solar works, there will be an Open House in central Virginia for an off grid zero energy prefab passive solar casa ti from Green Modern Kits in September. More on this later, but if you are interested in touring this prefab off grid zero energy modern house kit, there is a wonderful bike tour going on in the area during the weekend of September 26th. Bike Heartland is a fun bike tour that goes all weekend long through a gorgeous, historic area of Virginia. I am working with some local farms to have other activities like tours of natural, community supported farms, a winery that will be open for you to enjoy, and more, so pack your tent or secure lodging and come on down! If you are in D.C., I will be speaking today, Tuesday, April 21st at 6p.m. at EcoWomen. ...Come and see me! I will be speaking about our passive solar house kits and green living. We have a partnership in the works for Europe. If you are a European enthusiast, please email me and tell me which house kit most interests you. Vote with your email! We will now be able to work with you most anywhere! If you haven't been following the blog of the Virginia off grid modern casa ti at http://www.greenmodernkits.com/casa-ti.htm, we resume building the interior in two weeks, and then progress to systems and landscape architecture / a plan for land management. Then the real fun begins this summer: Interior design! We will be furnishing our casa ti with many reused and reclaimed items, and after the practicality of building the house kit I am looking forward to some plain ole fun design! Please do know that as consumers of our own product, we are struggling through many of the issues a family must face in creating their home... one of those issues being... design fights! ...And that's our Spring Update! In the meantime, I hope you all have a great day! As with every house kit, The Sinda varies slightly in price depending on which factory fabricates it (East coast is less expensive than the West coast factories, for example, and the factory closest to you fabricates the kit) but we are really trying to stay on these prices and pressured the factories to offer The Sinda for $28,053.02. The kit includes the design documents by the award-winning architecture firm Gelotte Hommas (which are then engineered to fit your local conditions) and the SIPs (structural insulated panels) exterior and roof panels. Kits also come with a window and door schedule to make it easier for you to complete. I hope you enjoy the new renderings of The Sinda... we are now working on pricing or mid-sized energy efficient cottage, Midway. Pssssst! I just got The Sinda elevations!!!! And since y'all have been so nice and patient I'm sending them to you before they're even on the site.